Let's face it...nothing compares to Whoopie; morning, noon or night it makes you feel good. Of course I'm talking about Whoopie Pie (what were you thinking?? ); that sweet delicacy that is the best part of a cupcake (the top) put together as a sandwich. Here in Phoenix we are lucky to be home to the Whoopie Baking Company; a sweet venture between friends Jennifer Brya and Karen Linkins. More of a way of life than just a bakery is how the duo like to describe their company. They are committed to using high quality ingredients and stay away from preservatives and trans fats. They use natural ingredients that can be found in just about any kitchen and are big supporters of the Slow and Locavore movement. At the Whoopie Baking Company whoopie pies come in a variety of sizes with fun names and flavor combinations. Did I mention that the filling is a combination of all butter buttercream (no shortening used here) and homemade fluff. I recently got to try the 4 listed below and they were all yummy. My favorite though was the Cherry Cordial. Red Hot Whoopie: Chocolate cake with a red hot buttercream fluff. Pucker Up Whoopie: Lemon cake with lemon buttercream fluff. Lovers Delight Whoopie: Chocolate cake with strawberry buttercream fluff. Cherry Cordial Whoopie: Chocolate cake with Amarena Cherry buttercream fluff. 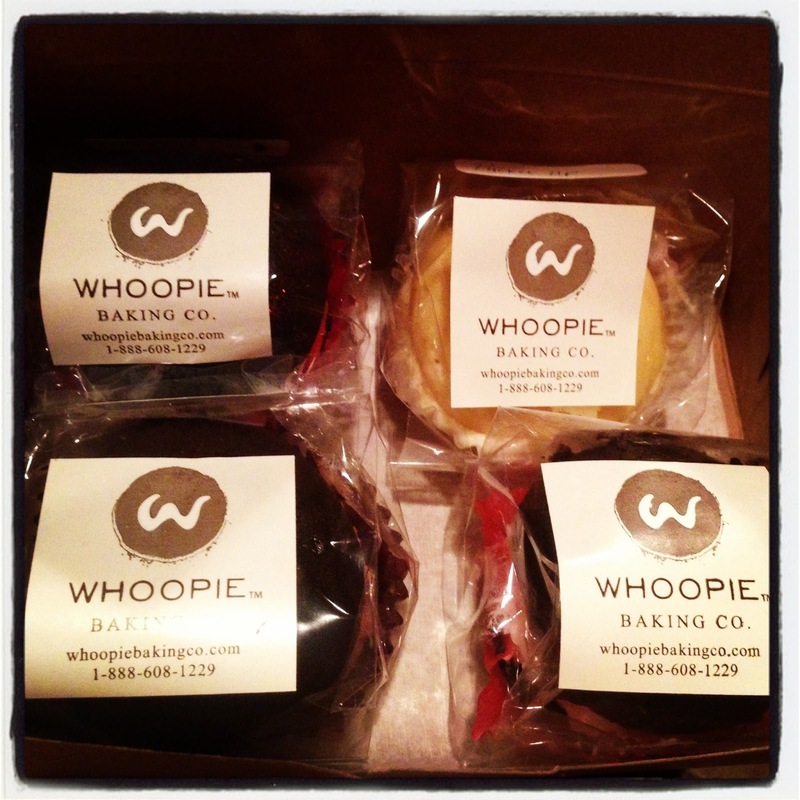 What better way to say I love you this Valentine's day than with a little Whoopie! Enjoy! Open Mon-Sat 10 a.m.- 8 p.m.
and Sun 12 p.m. - 6 p.m. The BEST whoppie pies are the ones you get at the Reading Terminal in Philly!!! OMG soooooo good!! !